The RM1 Beer promotion was back at the 1 Utama Octoberfest! 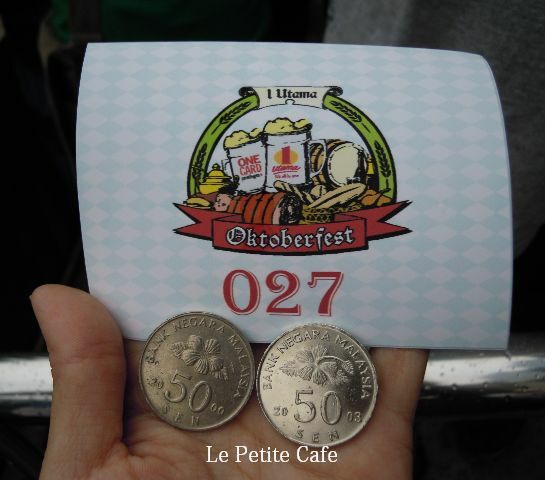 With wo 50 cents coins, we can exchange a bottle of 500ml Oktoberfestbier with 6.1% abv. The Lowenbrau is very carbonated - bad idea to drink it fast, especially on half empty stomach. That was what I did and it got to my head fast! 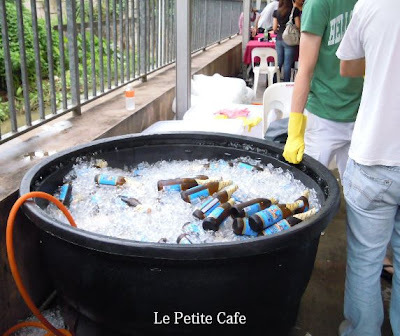 This was the place where the beers were kept cold before distribution. On the first day, it was finished within half an hour! 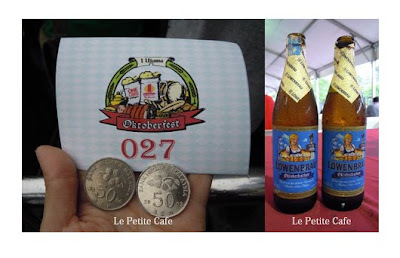 There were Tigers, Heneiken and Guiness as well but I'm more interested in these imported beers. 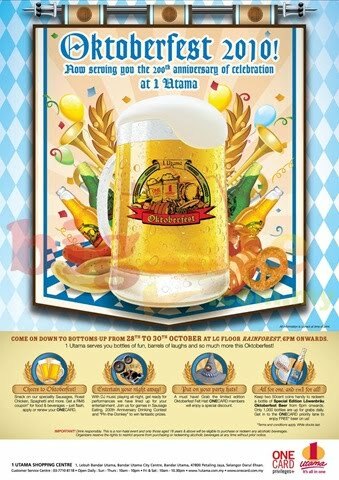 One buckets (5 bottles) for RM50 for 300ml - Leffe, Stella, Hoergarden, Asahi, Crown Lager, Budweiser, Victoria Bitter, Cider. 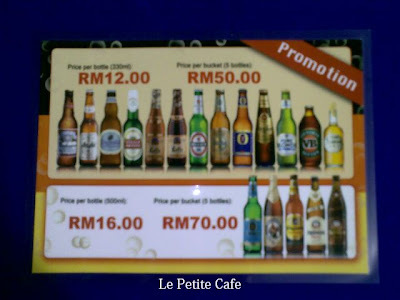 That's meant RM10 per bottle! There were also Erdingers , Franziskaner, Konig Ludwig and Lowenbrau Original. 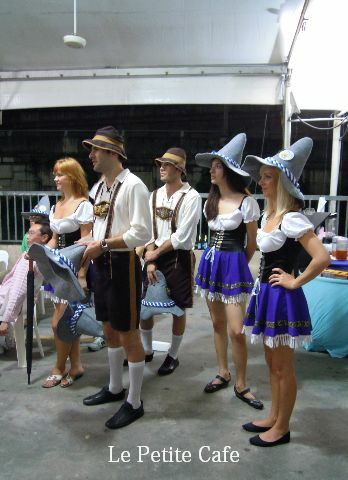 Models wearing German traditional clothing of Dirndl and Trachten. 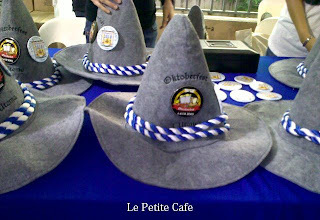 We made some new friends who gave us these lovely hats! Beers and good companions - it's another fun night!